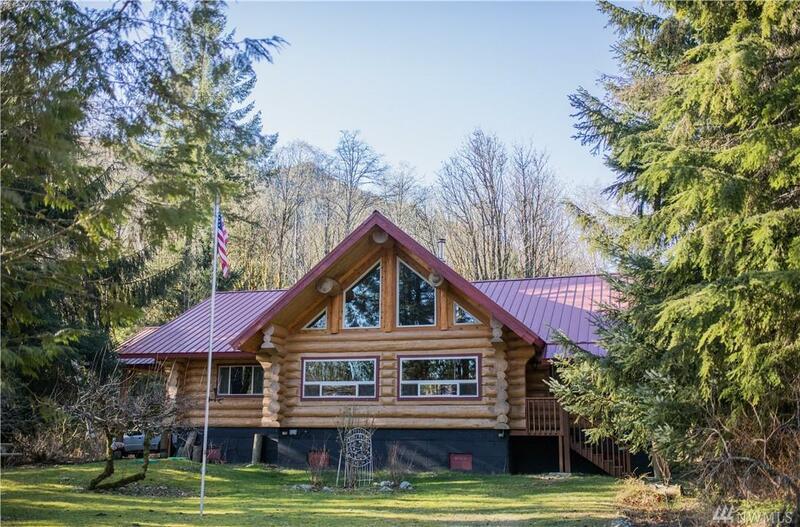 If you've ever considered a log home, this is a MUST SEE!! 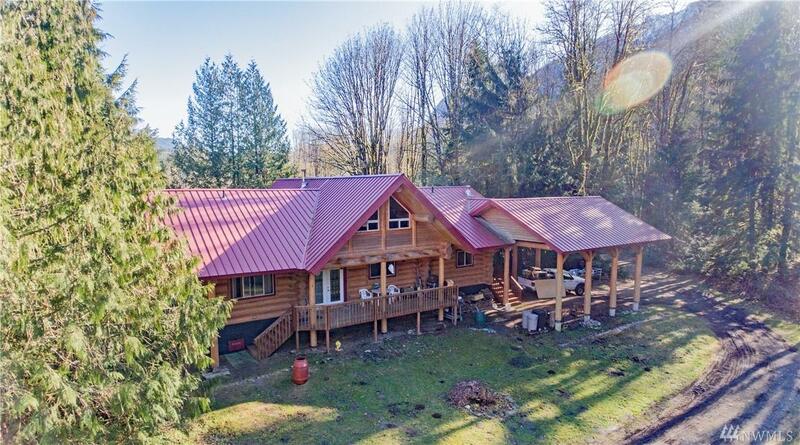 This 3 bed, 1.75 bth home is built with massive, beautiful Western Red Cedars. Awesome view of Mt Baring. Minutes from the river. Heated tile floors and new carpet. 5 acres, plus adjacent 75'x150' lot. Huge Quonset Hut. 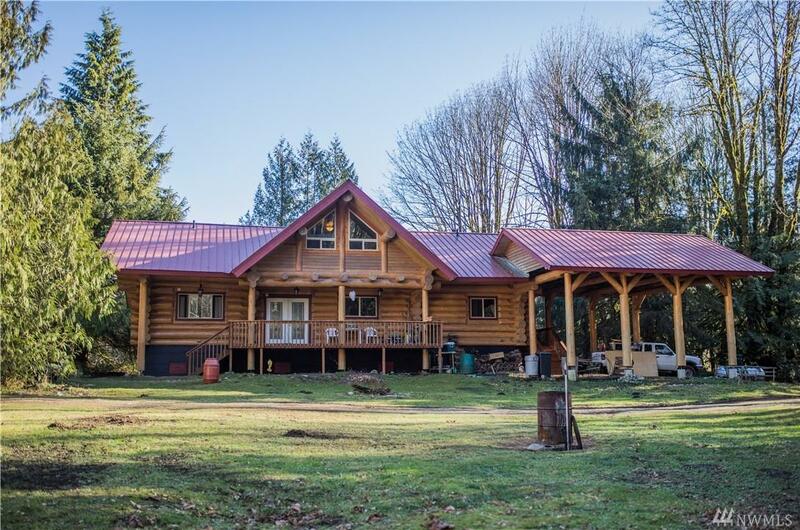 Large front & back yards with acres of flat treed land - customize into your own private park, campsites, RV parking... 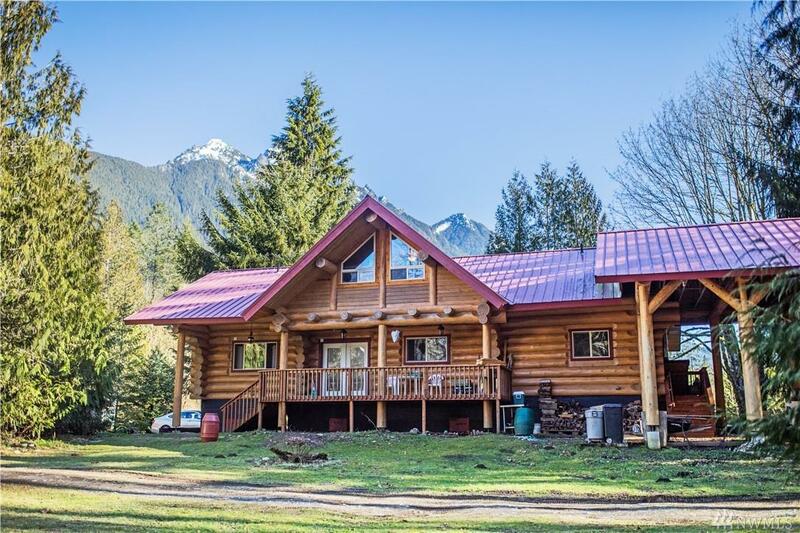 Ideal for skiing, hiking, fishing and floating the river. Only 1hr 15min to Leavenworth or Seattle. Listing Courtesy of John L Scott Monroe.